About 80 percent of Frans Kok’s (MBA 1972) cut-your-own customers make the trek to the Middleburg Christmas Tree Farm in Philomont, Virginia, during the two weeks after Thanksgiving. After bumping down the mile-long driveway, visitors collect a cart, a bow saw, and a map of the 125-acre property. From there, “it can literally take half a day to buy a tree,” says Kok. 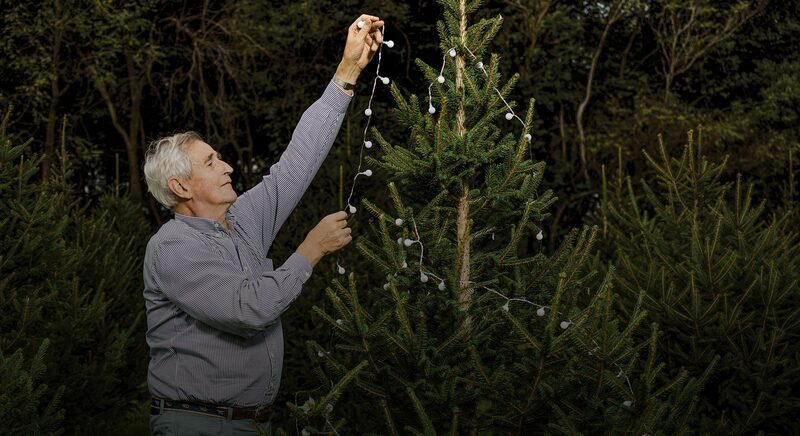 The leisurely pace is all part of the purchase price—which starts at $85 for a six-foot fir or spruce.